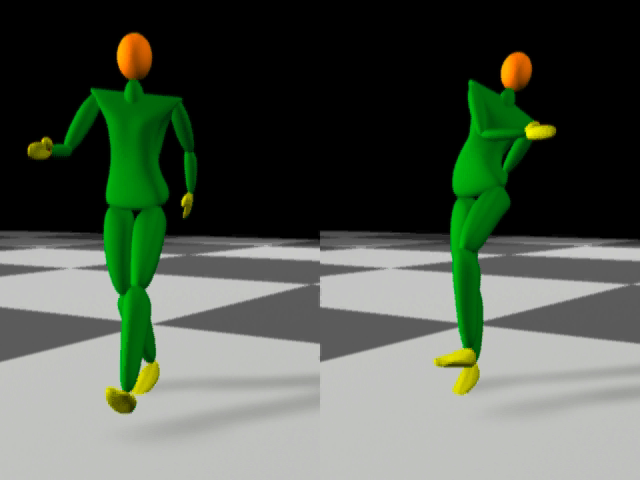 This paper presents a novel physics-based representation of realistic character motion. 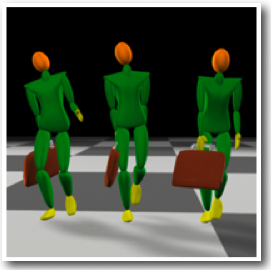 The dynamical model incorporates several factors of locomotion derived from the biomechanics literature, including relative preferences for using some muscles more than others, elastic mechanisms at joints due to the mechanical properties of tendons, ligaments, and muscles, and variable stiffness at joints depending on the task. 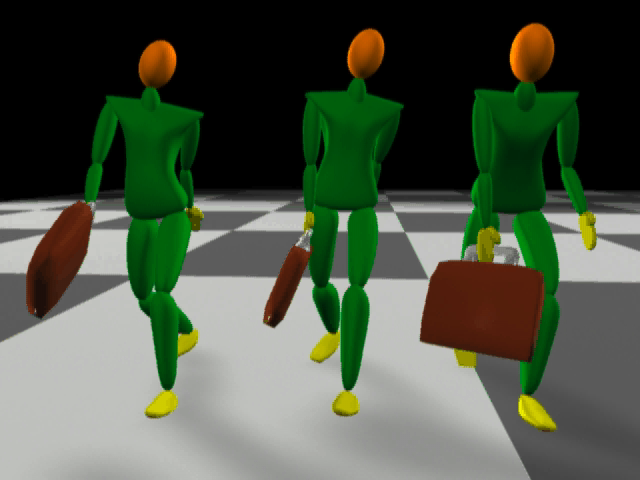 When used in a spacetime optimization framework, the parameters of this model define a wide range of styles of natural human movement. Due to the complexity of biological motion, these style parameters are too difficult to design by hand. 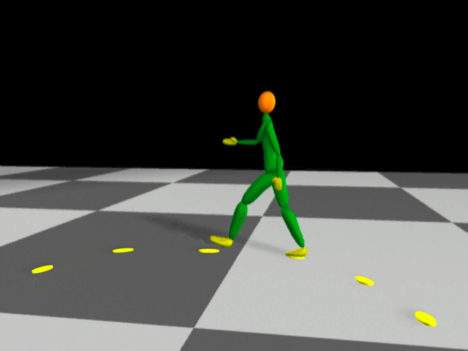 To address this, we introduce Nonlinear Inverse Optimization, a novel algorithm for estimating optimization parameters from motion capture data. 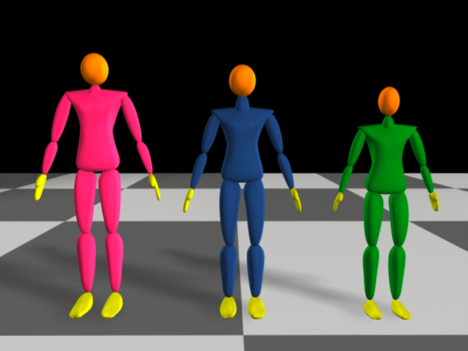 Our method can extract the physical parameters from a single short motion sequence. 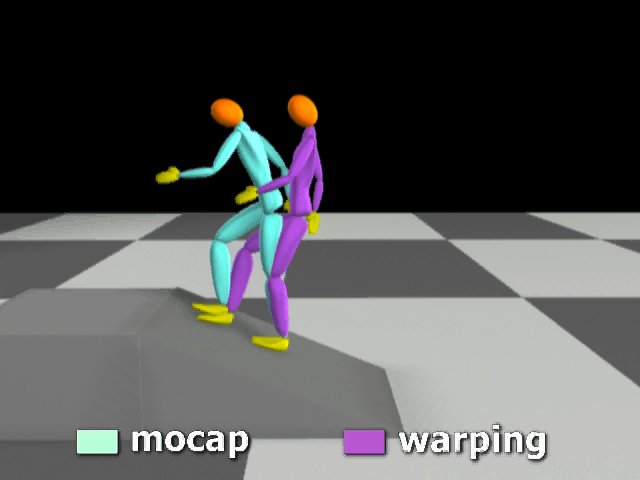 Once captured, this representation of style is extremely flexible: motions can be generated in the same style but performing different tasks, and styles may be edited to change the physical properties of the body.